Andreia Chaves # The invisible creations of Design. Goldsculpt and InvisibleShoe. Le Dorate e Invisibili creazioni. Il Design coinvolge liberamente il corpo, esaltandolo e originando visioni dal sapore futuristico. Andreai Chaves, genera il proprio progetto, seguendo quella che è una sofisticata ricerca per l'approccio alla sperimentazione, creazione avanguardiste sfociano nell'attuale panorama contemporaneo, celebrando una proiezione progressista. InvisibleShoe Collection, fonde al suo interno una rivoluzionaria esposizione agli effetti visivi, concetti d'invisibilità e sapiente utilizzo del materiale industriale, danno alla luce un approccio avveniristico, una calzatura ad ''effetto camaleontico'' che ad ogni movimento si uniforma perfettamente con l'ambiente circostante, assumendo colorazione ed effetto. Un progetto che origina una propensione per l'omologazione, tra progettazione dal gusto architettonico a quello scultoreo. Goldsculpt Collection, tocca tutt'altri punti di sperimentazione, il design si spinge oltre esplorando il movimento, forme sinuose e fluide diventano parte integrante della scarpa confluendo con il corpo, L'esaltazione dell'attitudine alle forme geometriche, tocca la relazione tra scultura e arte moderna, generando un pezzo unico nel suo genere. Goldsculpt and InvisibleShoe. The Golden and Invisible creations. The design involves the body freely, giving rise to visions and exalting futuristic flavor. Andreai Chaves, generates its own project, following what is a sophisticated approach to searching for experimentation, creation lead in today's contemporary avant-garde, celebrating a liberal projection. 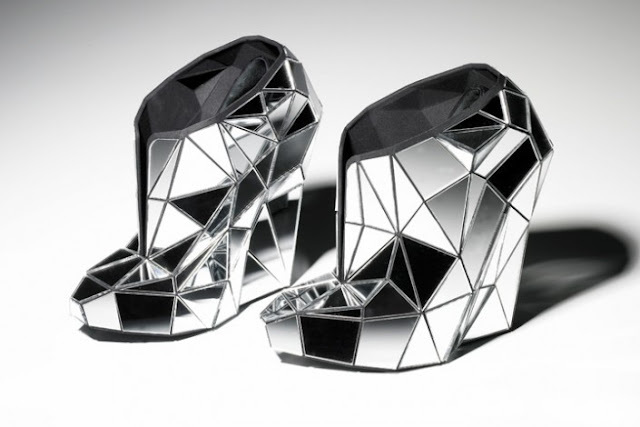 InvisibleShoe Collection, it combines a revolutionary internal exposure to visual effects, concept of invisibility and wise use of industrial equipment, give birth to a futuristic approach, a shoe at'' chameleon effect'' that conforms perfectly to every movement with the 'surrounding environment, assuming color and effect. A project that gives rise to a propensity for approval of design by the architectural taste than sculptural. Goldsculpt Collection, touches quite different points of experimentation, the design goes further, exploring the movement, sinuous and fluid flowing become an integral part of the shoe with the body, the exaltation of the attitude to the geometric forms, affects the relationship between sculpture and modern art, creating a unique piece. Well those are interesting. Very futuristic. I can't say I'll be wearing them! cosa ne pensi di seguirci a vicenda ;)? Grazie mille. Certo seguirò il tuo Blog con molto piacere. Yes, the former are wonderful, the effect they create is amazing. Wow. Those black ones are INCREDIBLE. Yes it is amazing how struttuar. love your posts. such an inspiration to me!!!! Queste creazioni sono arte pura... chissà se prima o poi le indosseremo mai! Si, vera e propria Arte. You have a really amazing and inspirating blog!!! sono delle vere e proprie opere d'arte... stupende! grazie per essere passata da me, ti va di seguirci? Those shoes are gorgeous and very artistic. I really love it. Thanks so much for stopping by my blog too and for the follow.Im following your gorgeous blog,the little black and white picture follower 402,its different to the above picture. FAB SHOES! THANKS FOR DROPPING BY AND FOR FOLLOWING. RECIPROCATING! Thanks, I'm glad you like my Blog. Wow such amazing shoes, thanks for sharing these pictures! Thank you, yes follow your Blog! 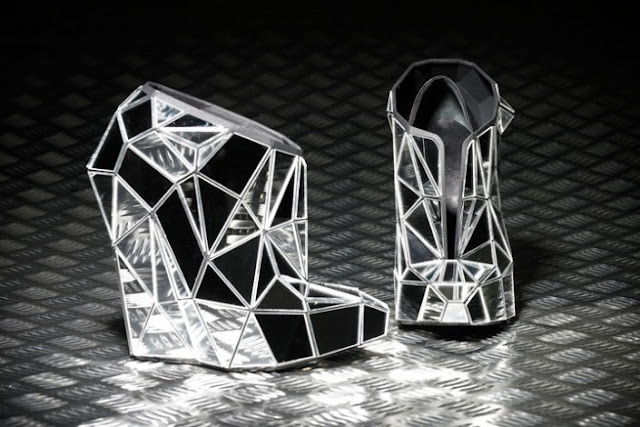 Such unique shoes - so cool! In fact they look like. wow, these are amazing! Great post, the images are beautiful! Oh, amazing post, dear! I love the first picture, the shoes are so chic and stylish! Omg I want them!!! Oh my goodness, these shoes are incredible! What a cool find! Those are all insane!! So unique. Following you back. Thanks for your visit and for following. I'm following back on GFC!! Thanks for visiting and commenting at my blog! Wow! The black ones are amazing! Thanks. Also I will follow your Blog. Thanks a lot for visits. Are unique in their kind. Of course I want to saty in contact with you as you said on my blog, for that I'm following you by GFC and waiting for yours! Thank you. Of course I will follow. These are to die for. Fantastic! Thank you for your lovely comment! Following you! Ok! 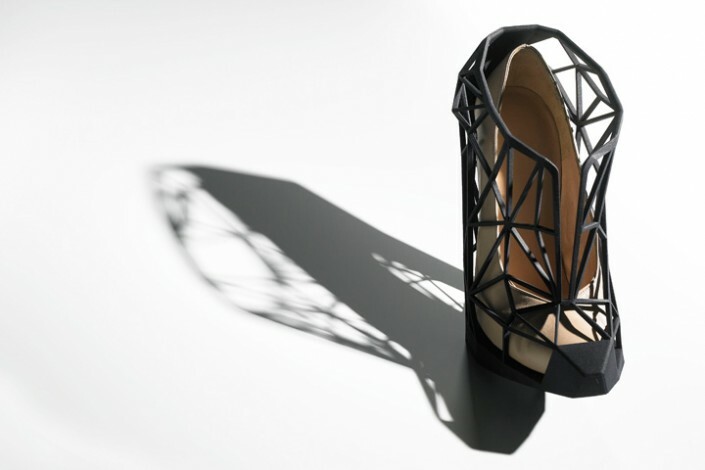 How amazing are these sculpted shoes! Incredible! Wow, thank you for this awesome inspiration! thank you so much for visiting my blog and for your nice comment,of course i ll follow you back! !your blog is amazing!! Grazie. Certo passerò da te. 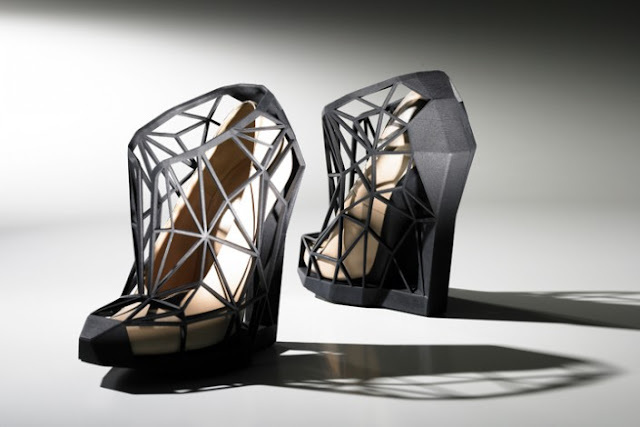 These shoes are very cool, great post!! Thank you. I will follow your Blog! ma ncora non avevo visto le immagini! Bene mi fa piacere. Grazie. i really love those geometric and architectural designs! they are stunning! omg, so weird. Just found out your blog and I'm addicted. I wish you like our blog! amaaaazing shoes! :) I love this!! thank you so much for your support dear:)) one big kiss! wow! 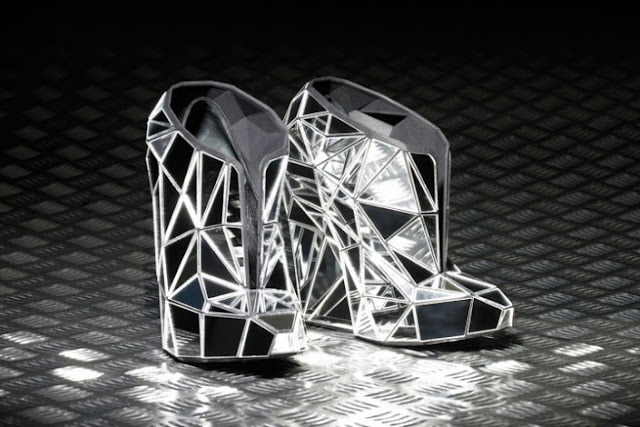 these shoes are exquisite! Yes, beautiful in their kind. GREAT POST. I've never seen these before until I stop by your blog<3 very inspiring! thanks for the follow!! :) looking forward to see more of your posts! maraviglioso. following you back love. Wow this design looks amazing. Great shoes.